With a heatwave approaching several areas of Texas this week, AAA Texas wants to remind drivers that summer’s high temperatures can take a toll on everyone – and everything, including your car. Extreme heat can push a car past its limits, and that can lead to some drivers finding themselves stranded at the roadside. The following tips can help you avoid becoming one of those drivers. Make sure your battery is prepared for high temperatures. Battery problems don’t always occur in the winter. In fact, summer heat can have a more negative impact on your battery than freezing winter temperatures. Heat and vibration are a battery’s worst enemies, leading to internal breakdown and eventual failure. While you can’t do much about the heat, you can make sure your battery is securely mounted to minimize vibration. Another potential problem is faster evaporation of battery fluid, which leads to corrosion on terminals and connections. Clean any corrosive buildup from battery terminals and cable clamps, and ensure the clamps are tight enough that they will not move. If a battery is more than three years old, it’s a good idea to have it tested by a trained technician to determine how much longer it will last. Keep your engine cool. Cooling systems protect engines from overheating and should be flushed periodically, as recommended by the vehicle manufacturer. Between flushes, make sure the coolant is filled to the proper level by checking the overflow reservoir. If necessary, top off the reservoir with a 50/50 mix of water and the coolant type specified by the vehicle manufacturer. CAUTION! – Never remove the radiator cap when the engine is hot – boiling coolant under pressure could cause serious burns. Rubber cooling system components are susceptible to heat-related deterioration, so periodically inspect hoses and drive belts for cracking, soft spots or other signs of poor condition. Keep your tires properly inflated. Driving on under-inflated tires can cause tires to overheat and increase the likelihood of a blowout, especially when road temperatures are extremely high. Check your car’s tire pressures (including the spare) at least once a month, because tires typically lose about one pound of pressure per month through normal seepage. For the most accurate reading, check tire pressures when the tires are cold. Always follow inflation pressure recommendations in your vehicle owner’s manual or on the tire information label located in the glove box or on the driver’s door jamb. Do not use the inflation pressure molded into the tire sidewall, which may not be the correct pressure for your particular vehicle. Make sure fluids are at appropriate levels. Most engine fluids lubricate and serve as coolants by helping carry heat away from critical components. When fluid levels are low, the cooling effect is reduced, which increases the possibility of overheating. Periodically check all vehicle fluids, including motor oil, transmission fluid, power steering fluid and brake fluid, to ensure they are at appropriate levels. If any fluids need to be topped off, be sure to use the type of fluid specified in the owner’s manual. Maintain a comfortable driving environment. During extreme summer heat, an air-conditioning system can be more than just a pleasant convenience. It can reduce fatigue, which plays an important part in driver alertness and vehicle safety. If a car’s air conditioning is not maintaining the interior temperature as well as it once did, it may mean the refrigerant level is low or there is another problem. Have the system checked by a certified technician. In addition, if your car has a cabin filter, it should be inspected and replaced as needed to ensure maximum airflow and cooling during the summer months. Be prepared for summer breakdowns. Even with preventive maintenance, summer breakdowns can still occur, so AAA recommends drivers have a well-stocked emergency kit in their cars. The kit should include water, non-perishable food items, jumper cables, a flashlight with extra batteries, road flares or an emergency beacon, basic hand tools and a first aid kit. Many maintenance tasks needed to prepare a car for extreme summer heat are relatively simple and can be performed by the average driver, but some are best left to a trained automotive technician. AAA offers a free public service to assist motorists seeking a qualified auto repair facility. AAA Approved Auto Repair facilities must meet stringent professional standards and maintain an ongoing customer satisfaction rating of 90 percent or better. 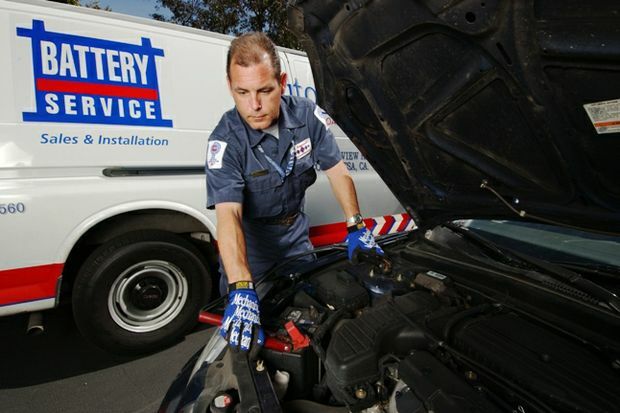 To locate a AAA approved repair shop, visit AAA.com/Repair. AAA Texas branch offices throughout the state can be found by visiting www.AAA.com. Follow AAA Texas on Twitter: @AAATexas and Facebook: www.facebook.com/AAATexas. Find additional news from AAA Texas in our online newsroom at http://tx-aaa.iprsoftware.com/.